Many thanks to The Waukesha County Salvation Army for partnering with Lake Country Family Fun to provide four lucky Lake Country Family Fun readers with tickets to one of the December Joy of Christmas concerts!!! 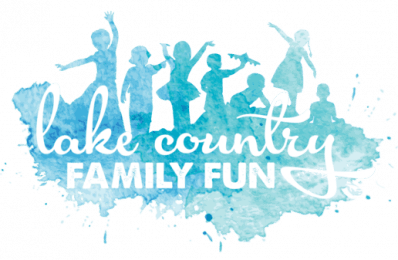 Lake Country Family Fun loves treating our readers to giveaways! If you are looking for holiday fun while making a difference locally, enter this giveaway today! The Waukesha County Salvation Army located in downtown Waukesha is home to amazing programs that help our community be its best. They provide shelter and resources, provide food and feeding, host youth programs, and put on a Christmas campaign. 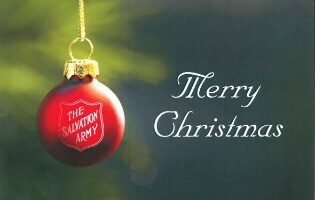 The Waukesha County Salvation Army is located at 445 Madison Street, Waukesha, WI 53188. 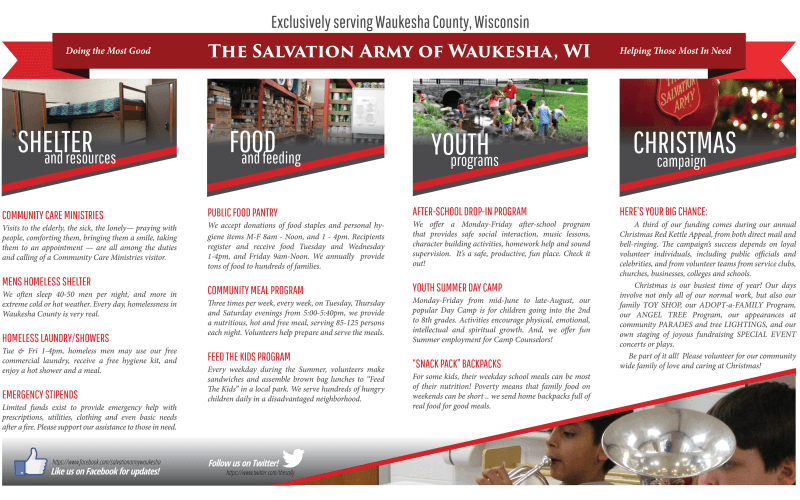 The Waukesha County Salvation Army’s three most visible ministries/programs are the Men’s Homeless Shelter, the Food Pantry, and their Free Community Meal Program. The Salvation Army in Waukesha County was founded in 1894, and internationally in London 29 years earlier in 1865. The volunteer director is Kate Meyer, and he can be reached at kate_meyer@usc.salvationarmy.org with any questions. The Waukesha County Salvation Army has as its Corp Officers, both at the rank of Major, and both as ordained ministers, Major Nelson De La Vergne and Major Deborah De La Vergne. The North Coast Brass Quintet members have performed with such national acts as The Temptations, The Four Tops, Aretha Franklin, Frankie Valli! Do not miss these four wonderful Christmas Concerts on three days, a fundraising series to benefit the Waukesha Salvation Army and its charitable work, exclusively in Waukesha County. *There is NO fee to purchase tickets online via the links above and online purchase is recommended as events sold out in 2017!!! Giveaway Time: Win Joy of Christmas tickets!! Four lucky Lake Country Family Fun readers will receive a pair of tickets to Joy of Christmas (there is one pair per location available)!! Simply enter your name and valid email address in the form below. *We will contact the winner via the email submitted. Be sure to comment on this Facebook post with your favorite concert location. Only one entry per person. Duplicate entries will be deleted. Giveaway ends December 6th, 2018 at 11:59 pm (CST). Congratulations to our 4 winners: Diane Z., Val Ann K., Renee R., and Morgan C.